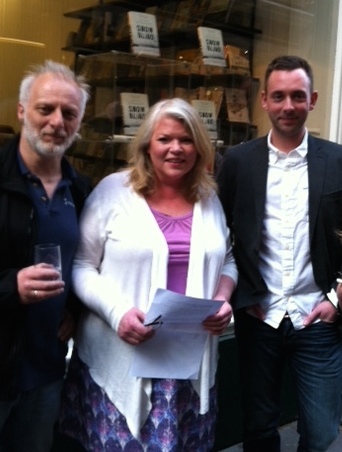 Last night I headed to the fabulous Goldsboro Books to the launch of Ragnar Jónasson’s brilliant crime novel SNOWBLIND. Ragnar is an established author in Iceland and SNOWBLIND is the first of his Dark Iceland crime series to be published in the UK (by wonderful new publisher Orenda Books). 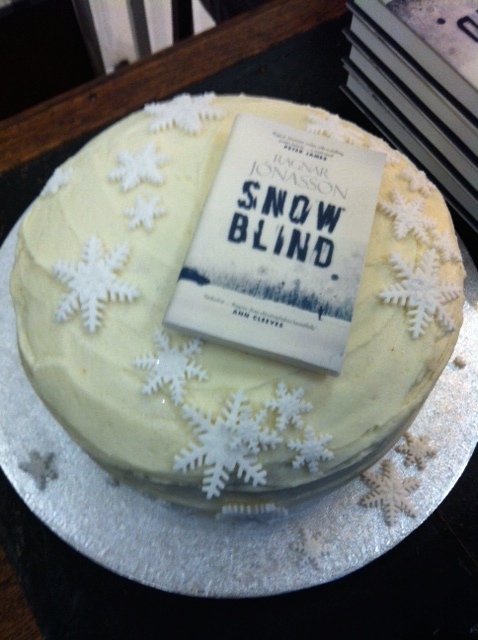 It was a fabulous evening – I got my hands on one of the gorgeous hardback copies (available exclusively from Goldsboro Books) and there was even an amazing SNOWBLIND-themed cake! and be sure to follow @ragnarjo (Ragnar) @OrendaBooks (Orenda Books) and @graskeggur (Quentin) on Twitter for all their up to date news. Cecil Court is the first place I went to when I first arrived in London! I just love those bookshops (sadly, some of them defunct now). Just you wait, some day I’ll be back in the UK and joining you at all these launches!